It's a good time to think about the ins and outs of buying a house. One factor that can have a big ripple effect on your ability to qualify for a mortgage is your credit card habits. Not sure how plastic plays a role in your homeownership plans? Let's dig into the details. · Your income. You'll need to demonstrate that you have an income substantial enough to make your monthly mortgage payments. To verify this, you'll probably need to provide tax returns and pay stubs. · Your credit report and score. In general, your score will need to be above 640 to get a mortgage. The higher your score, the better your financing terms will be. · Your job history. Lenders want to see a steady employment history. If you're self-employed, you might need to jump through some extra hoops to secure financing. · Your overall wealth. Your assets (retirement accounts, property you own, etc.) will be taken into account on your mortgage application. · Your other financial obligations (your debt-to-income ratio). Banks generally like to see a debt-to-income ratio of 36% or lower. That indicates that your monthly obligations probably aren't eating into your ability to make mortgage payments. · Paying bills late. If you don't pay your credit card bills on time, your credit score will take a major hit. Thirty-five percent of your score comes from your history with paying your bills by their due dates, so it's important to take this point seriously. · Getting into debt. Racking up credit card debt will hurt your mortgage application in two ways. First, if you're using more than 30% of your available credit on any of your cards, expect your credit score to take a hit. Second, it will raise your debt-to-income ratio, which will make you seem like a riskier borrower. If you have credit card debt, now is the time to pay it down. · Applying for too many cards at once. Again, this will shave points off your credit score. If you plan on getting a mortgage soon, don't apply for a new credit card unless you absolutely need it. · Delaying credit card use. Mortgage lenders like to see a long history of responsible credit card use. Plus, 15% of your credit score comes from the length of your credit history. If you're a credit novice, getting a card and using it carefully will bolster a future home loan application. · Pay your bills on time. Getting your bill payments in on time is the most powerful thing you can do to boost your credit score. Make this a priority! · Apply for a credit line increase. Increasing the limits on your credit cards will help reduce your credit utilization ratio, which will help your credit score. Just be sure to avoid the temptation to spend more. · Pay down your credit card debt. This will improve your credit utilization ratio and your debt-to-income ratio. Win-win! · Save up a bigger down payment. 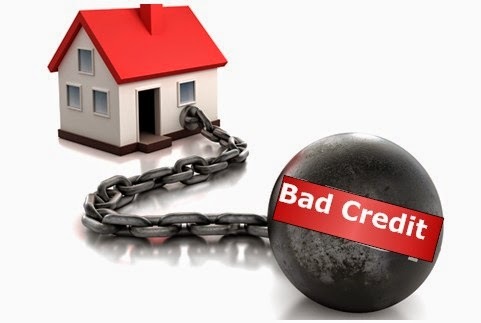 Sometimes lenders are willing to accept a lower credit score if you bring a bigger down payment to the table. · Wait a bit. It takes time to save money and improve your credit. Your best tool in the mortgage application process might be time, so use it wisely by employing the tips discussed here. There’s a huge difference between a good stock and a stock that can make you rich. The Motley Fool's chief investment officer has selected his No. 1 stock for 2014, and it’s one of those stocks that could make you rich. You can find out which stock it is in the special free report "The Motley Fool's Top Stock for 2014." Just click here to access the report and find out the name of this under-the-radar company.